Instapage CEO Tyson Quick shares how his team leverages ChartMogul to track the health of the business, plan for the future, and experiment with different optimizations. 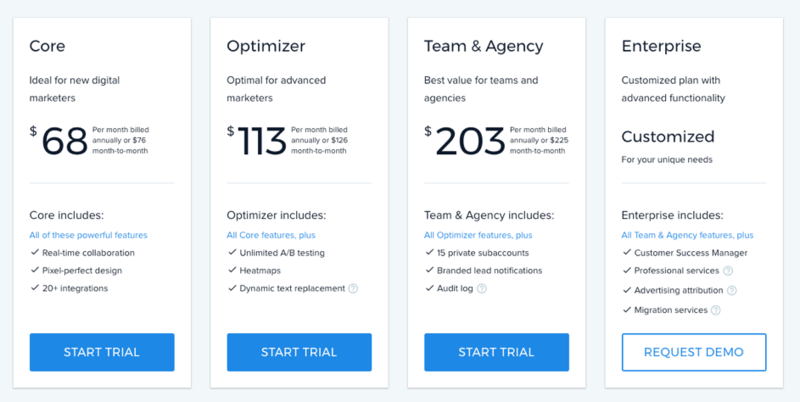 Instapage is a post-click optimization platform for advertisers and marketers. With Instapage, brands like Unilever and HelloFresh can increase the conversion rates of their digital ad campaigns. The company has grown rapidly over the years and now has 180 employees spanning the globe. As the founder and CEO, Tyson Quick must balance achieving long-term performance with pursuing near-term opportunities. ChartMogul gives him the best of both worlds: a reporting solution that provides a general pulse on the business while also allowing him to dig deep and answer questions. As CEO, one of Tyson’s main responsibilities is to stay on top of Instapage’s financial health and performance. Using Targets, Tyson is able to set and track revenue goals. They have an overall target set for 2021, and end-of-year goals for each year leading up to that. He and the Instapage team can analyze performance each quarter to make sure they’re on track. And it’s not a purely forward-looking exercise — they also want to document historical attainment. Using historical revenue data and Targets, Tyson can talk to current and potential investors and demonstrate how the business has successfully achieved goals over time. Instapage’s CFO is also an avid user. Using ChartMogul, he can get a more in-depth perspective on individual customer plans, lifetime value, and churn, which he then uses to do a financial modeling and help define departmental budgets. While many of the companies we speak to count MRR as their North Star metric, Instapage prioritizes churn. Cohort analysis can help shine a light on how subscriber behavior changes over time. When examining retention segmented by customer plan, Instapage noticed that one plan had a retention rate that was almost twice as high as other plans. The company decided to run an experiment: offer only that plan, plus an enterprise plan. They hypothesized that consolidating their self-service plans into one, straightforward plan would help more qualified prospects quickly assess product fit and make a purchase decision. Additionally, those that may have opted for a less expensive plan only to churn out after two or three months would be less inclined to purchase from the get-go. 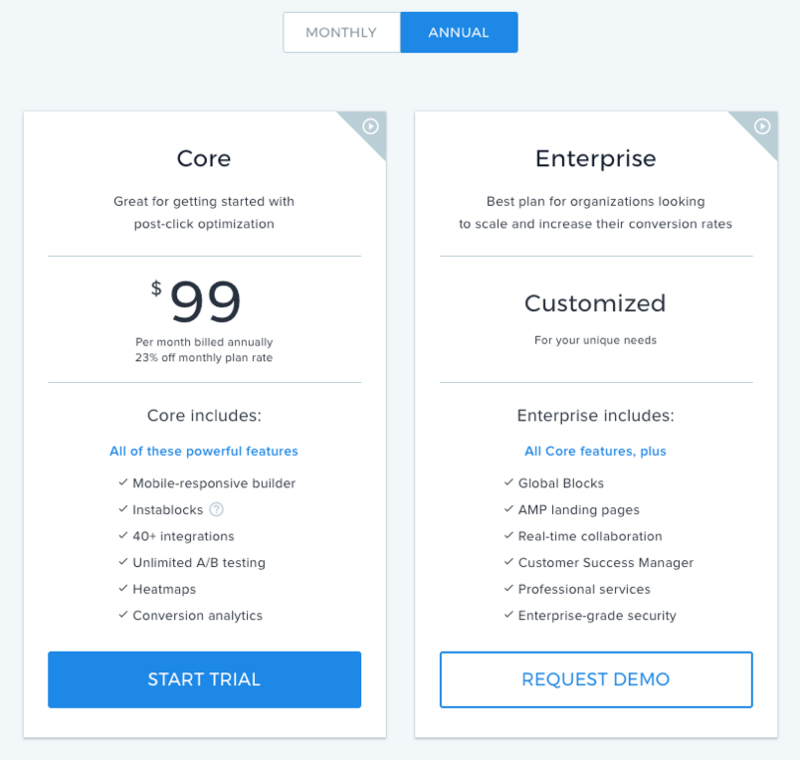 Before: Instapage originally offered three self-service plans along with an enterprise plan. After: Using retention data, Instapage decided to consolidate its self-service plans and instead offer two plans: Core and Enterprise. With ChartMogul, Instapage has just what they need to monitor financial health and strengthen their business. How does Tyson quantify the value? See why companies like Instapage rely on ChartMogul to track, analyze and manage their revenue data. Start your 14-day free trial today.